Welcome! I hope you have gone through the previous blog post “IoT Security – Part 1” If not, I would urge you to go through it to understand the meaning of IoT and IoT architecture. Now we will start getting into security and try to define a way to understand and create a structured process to perform security research or penetration testing of IoT. OWASP is also doing a lot of work in IoT security now. They have also defined the attack surface. I would again urge you to go through it. It is good to understand different ideas and thoughts as it helps you create your own comprehensive attack surface. OWASP is also doing a lot of work in IoT security now. They have also defined the attack surface. I would again urge you to go through it. It is good to understand different ideas and thoughts as it helps you create your own comprehensive attack surface. 1. The word microcontroller is used in a generic form to mean microcontrollers, microprocessors or SoC (System on a Chip) unless specifically mentioned with explanation. 2. The below attack surface is defined by us and may be different from other sources. Although this is not a tangible attack surface as ideally the tangible attack surface would be the communication interfaces and the respective drivers/firmware responsible for the communication. However, this needs a separate section on its own because there is an endless list of communication protocols that the IoT ecosystem can use on wired as well as wireless medium. The following are some of the areas that make up the attack surface for the communication. The hardware interfaces allow for the actual communication. However, the actual data communication / packets are defined by the upper layers which are implemented in the software. Hence, in this Attack surface area (communication) we will only discuss the protocols. 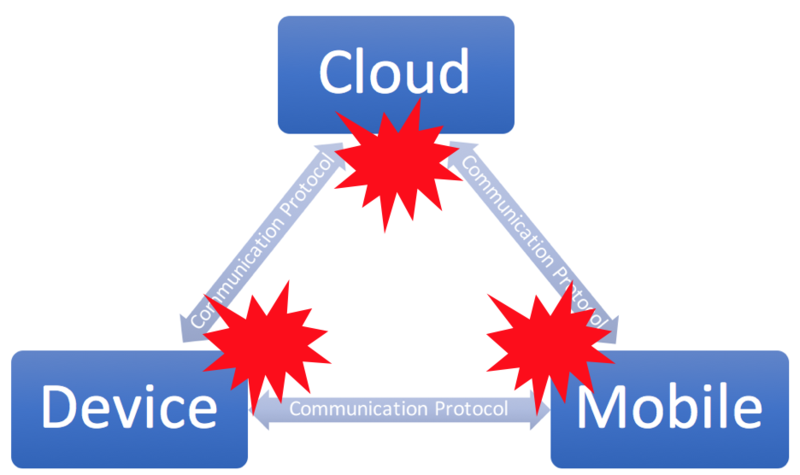 Although the flaws in the protocol may result in attacks on the protocol end points residing on the mobile, device or the cloud, we have kept it as a separate attack surface for clarity. There are way too many standards to mention in the list here. However, we will list down some of the common protocols that are used in various IoT products. Apart from web there are many protocols, some domain specific, some generic and some for efficiency reasons. There are too many protocols to list down here, for brevity, we will list some of the common protocol standards to give you a fair idea about the kinds of protocols in use. History tells us that all protocols will have their share of implementation flaws, protocol design flaws and configuration flaws. These need to be analyzed during a pentest. The above should give you a high-level overview of the attack surface for the IoT ecosystem. Now that we have a fair idea about it, let’s define a detailed attack surface for the device so we know what exactly we need to attack in a standard IoT pentest. This is also helpful for IoT security architects to create a threat model for the IoT Product. Ok, let’s do this : ). The following is a segregated and structured definition for the IoT attack surface. Please note that this is as per our understanding and has not been picked up from other sources. The storage used by the device. This can further be segregated into Internal and external, Persistent and volatile. SD cards are typically used to store configuration and product data. They might be used to store firmware updates as well. It is a very interesting attack surface and we will talk about certain attacks that are possible via the SD card in later blog posts. Certain products may use USB drives to store similar data as in SD Cards as well as read data that is downloaded or stored on the USB drive. Similar attacks as for SD cards are applicable to the USB storage. SRAM (Static Random Access Memory) – A type of RAM that holds the data which is lost when the chip is powered off. DRAM (Dynamic Random Access Memory) – Data is held for a period after which it is lost unless it is refreshed during run-time. This means that the data has a short lifespan even during the time the chip is powered on as compared to SRAM. The data is also lost when the chip is powered off. Different hardware components on the same board need to talk to each other and to the outside world. All this communication is done using well defined and standard hardware communication protocols. From an attacker perspective, it gives them an insight into the actual communication via sniffing or injecting malicious data. Some of the most common interfaces mentioned below should be analyzed for finding security issues. UART (Universal Asynchronous Receiver Transmitter) is a hardware component that allows asynchronous serial communication between two hardware peripherals. 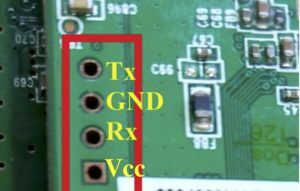 These can be on the same board (for example microcontroller talking to a motor or LED screen) or between two different devices (for example device microcontroller talking to a PC). It is an interesting attack surface as it may allow read/write access to the device over serial. 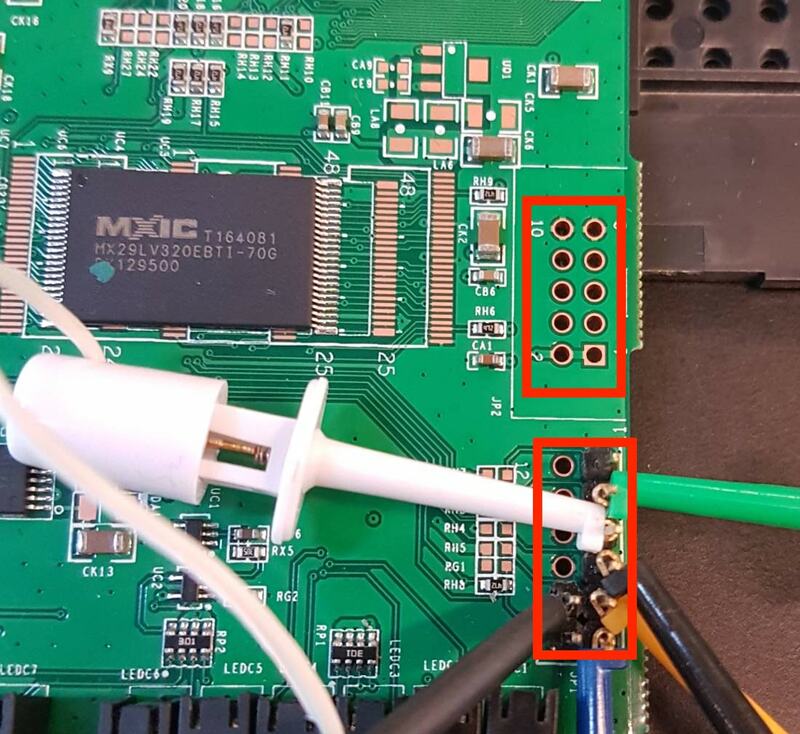 In many devices, UART ports on the board are left open which anyone can connect and access over serial to get a console of some sort i.e. simple shell, custom command line consoles, log output etc. A device will typically have a group of pin-outs connected to the microcontroller UART RX and TX pins, which are used for sending and receiving serial data. 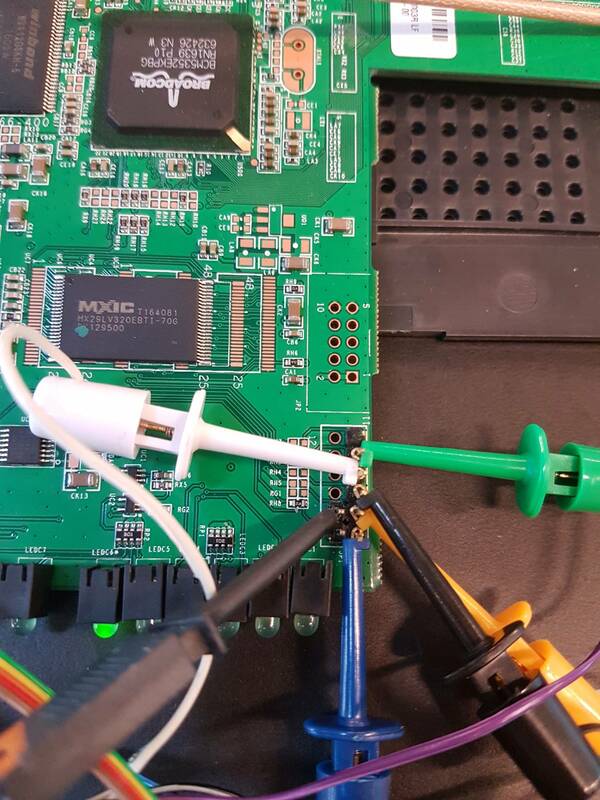 We will discuss in detail in the future posts how to identify and access the UART ports on a device. In addition to testing the chips, these pins are used to by the debuggers to communicate with TAP (Test Access Port) which is implemented on the microcontroller. 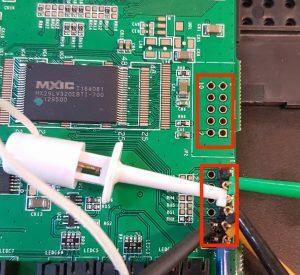 From security perspective Identifying the JTAG port and interfacing with it allows attackers to extract firmware, reverse engineer the logic, and flash malicious firmware on the device. More on it later, in the future blog posts. 2. cJTAG (Compact JTAG): This is a new JTAG protocol defined in the standard IEEE 1149.7. It does not replace 1149.1 standard but extends it further and is backwards compatible with JTAG. It defines a two-pin interface (TCK and TMS) and a new TAP that implements the new features. 3. SWD (Serial Wire Debug): SWD is another interface/protocol that is used for debugging microcontrollers. It is a two-pin interface:a. SWDIO (bidirectional)b. SWCLK (clock) It is an ARM specific protocols that uses ARM CPU standard bi-directional wire protocol, defined in the ARM Debug Interface v5. The benefit of SWD is that it claims to be more efficient that JTAG. 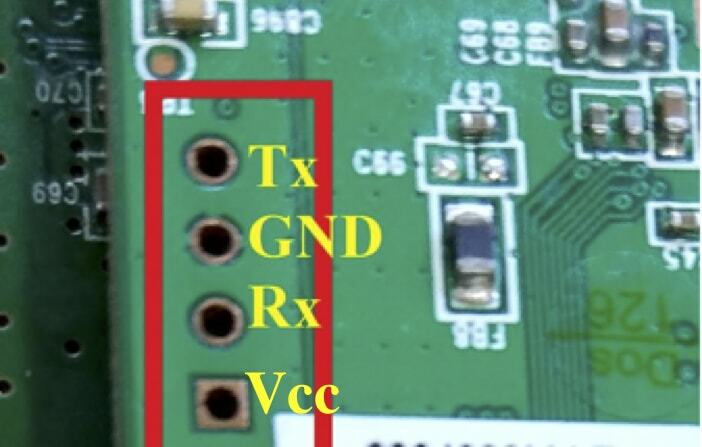 Note that JTAG port may not necessarily be in a group of 10-pinouts as in the above image. 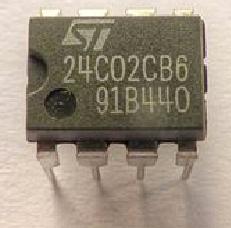 One of the use case of I2C is in EEPROM chips that are connected to the microcontroller I2C pins and typically store data or code. Typical attacks would include tampering with the data, extracting sensitive information, corrupting the data etc. We should analyze the data at rest on the EEPROM chip as well as perform run-time analysis by sniffing the I2C communication to understand the behavior and security implications. As mentioned previously, we will have a dedicated blog post in the series for understanding and analyzing I2C communication. 2. MOSI – Master Out Slave In. Other names include SIMO, SDI, DI, DIN, SI, MTSR. 3. MISO – Master In Slave Out. Other names include SOMI, SDO, DO, DOUT, SO, MRST. It is used for talking to a variety of peripherals. Flash and EEPROM chips also use SPI. The methodology of testing and analyzing is similar to I2C, just that we have a different bus interface. We will talk about SPI in detail in the later Blog posts. The device can have a USB (mini/micro etc) interface for either charging or communication. For latter, it becomes necessary to test the interface for known or unknown issues. We should sniff the communication for run-time analysis as well as fuzz the USB interface for unknown bugs. 1. Monitor: This is more closely linked to the literal meaning of a sensor i.e. to sense or monitor the physical world for any changes. Ex. temperature, motion, Pulse, Blood pressure, tyre pressure etc. 2. Control: These types of devices control the physical world in some way or the other. Ex. Locks, dispensers etc. 3. Hybrid: These are a combination of both the above types i.e. temperature control, Lights based on time of the day etc.This is one of the critical interfaces as all values and data derived from the physical world will be transferred to the cloud. If attackers can force the device with malformed (wrong) data then the whole ecosystem gets affected as all decisions and statistics are based on this data. In other words, this is the crux of the IoT ecosystem. Wrong values here can have catastrophic effects on the decisions that the ecosystem makes. As with Sensor interface, we use the HMI as a general term to define the interface between the user and the device without restricting it to the term used in Industrial Control systems. This is the interface that users can use to communicate with the device and operate on it directly. Some of the common examples would be, touch screens, push buttons, touchpads etc. It is important to test this interface to find out any bypass mechanisms, security flaws etc. This interface allows the device to talk to the rest of the virtual world which includes the sensor network, cloud and mobile. The hardware interfaces responsible for network communication may have their own separate microcontroller/firmware that provides the communication functionality. The attack surface in this case is the firmware or driver code that implements the low-level communication. The wifi interface has some known issues. etc. From the attack surface perspective, it would be interesting to attack the wifi chip possibly to damage it, DOS, bypass security restrictions or code execution. The Ethernet interface, like wifi interface, has its share of low-level TCP/IP stack vulnerabilities as well as hardware implementation vulnerabilities and similar attack vectors. 1. Simple/Unstructured: This type is usually used in simple products like shutters, locks, doorbells etc. By Simple and unstructured we mean that it uses simple (mostly proprietary) data (stream) and sends it across via the radio interface. As a penetration tester, you need to reverse engineer the communication to find out flaws in the implementation. It is easy to sniff the radio communication using radio sniffing hardware tools like SDR (Software Defined Radio) etc. If you have any queries, feel free to get in touch with us at info [_a t_] payatu DOT com, aseem [_a t_] payatu DOT com.